As a time-saving, convenient way to have food on the table at the end of the day, slow cookers are hard to beat. All you need are the right ingredients and some handy tips. The great thing about slow cooking is that the tougher (and generally cheaper!) secondary cuts of meat work the best. This is because they’re generally from the ‘harder working’ parts of the animal, so the meat tends to be tougher. They benefit from being cooked for longer and at lower temperatures than leaner meat, as the connective tissue breaks down to give that deep flavour and rich texture. Lamb: shanks, neck, forequarter chops, shoulder. Pork: leg steaks, ribs, shoulder, loin chops. Beef: chuck, skirt and round steak, gravy beef, osso buco, silverside. Chicken: bone-in cuts, or whole chicken. A guiding rule is to make sure you cut vegetables roughly the same size, so they cook evenly. Remember that if you finely chop vegies, particularly onions, garlic and capsicum, they’ll cook down to form a sauce-like base. However, if you want your vegies to keep their shape and bulk, it’s best to cut them into larger pieces. The denser, more fibrous vegetables, such as celery and root vegetables, including carrots and potatoes, are ideal for slow cooking. When adding dried spices or spice mixes, it’s best to cook them at the same time as you’re browning and caramelising your ingredients. If you don’t, the spices will taste raw and not release their wonderful full flavour and aroma. Leave seasoning with salt and pepper until the end of the cooking process, to ensure the right balance of flavour. 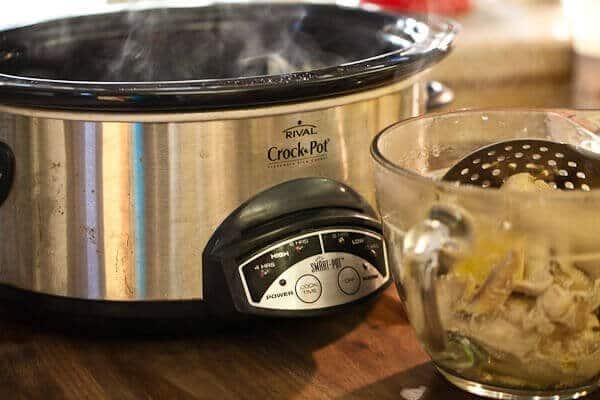 Generally, you need less liquid when using a slow cooker, as it doesn’t reduce through simmering. Ingredients such as vegetables also release a lot of liquid.